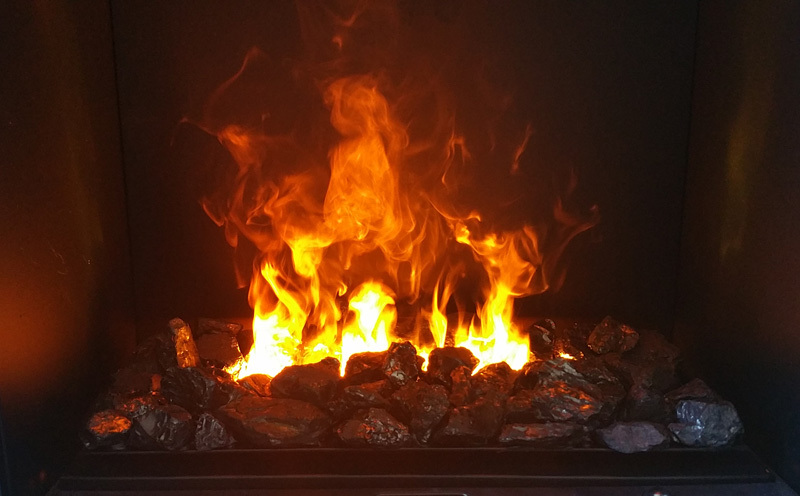 IT'S ELECTRIC with flames and "smoke"created with WATER! 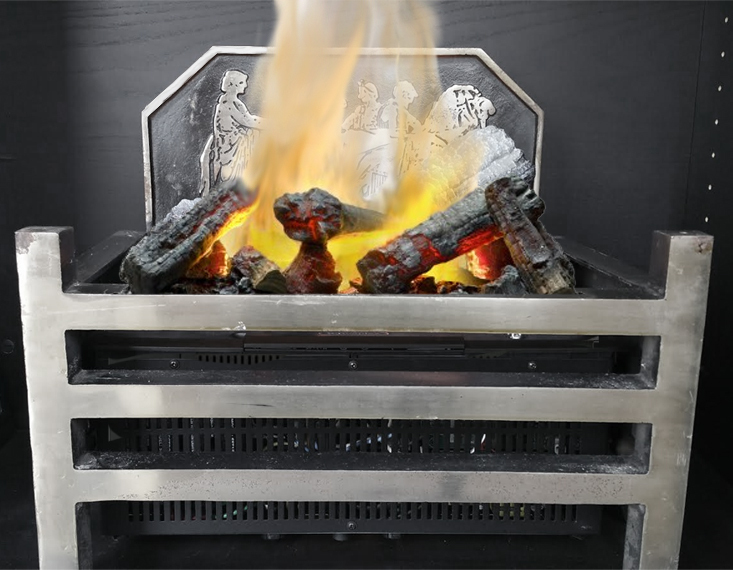 Using a revolutionary ultrasonic technology allows the creation of the incredibly life-like flame and smoke effect of the OptiMyst Insert. 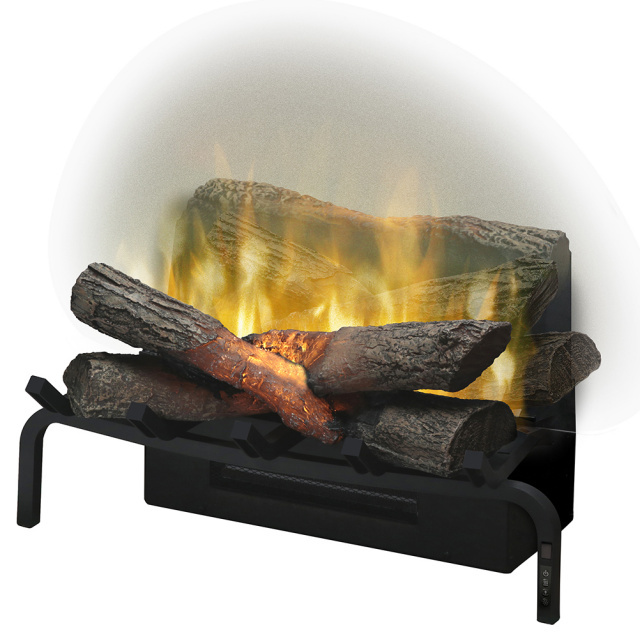 As the mist rises up through the logs, the light reflects against the water molecules creating a convincing illusion of flames and smoke. 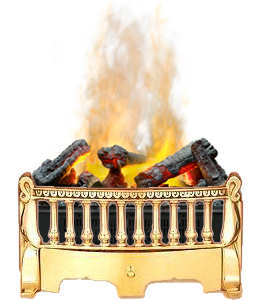 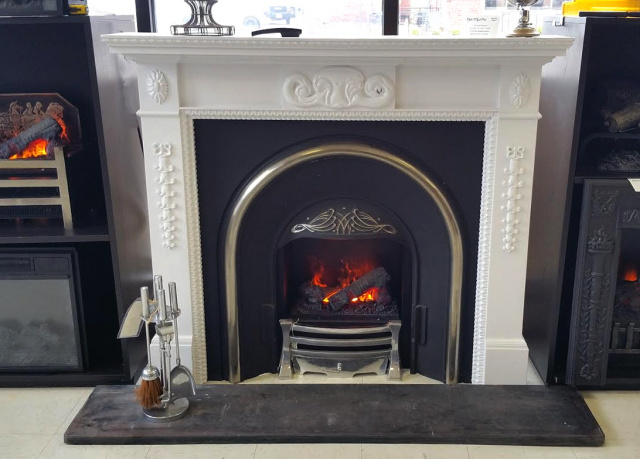 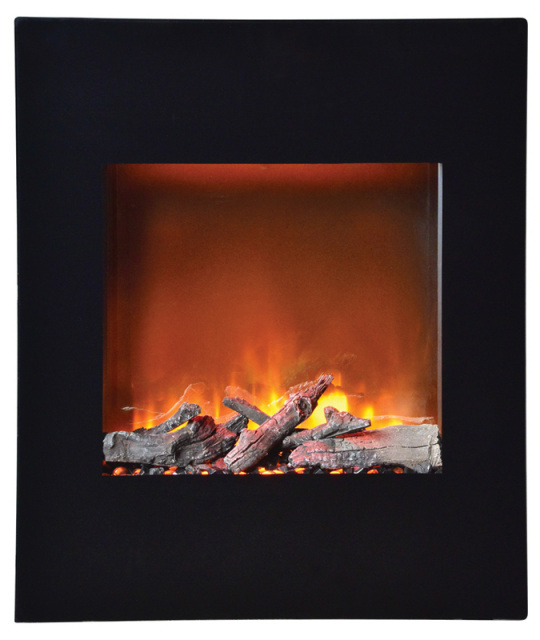 The result is an appearance so authentic it will be mistaken for a true wood-burning fireplace. 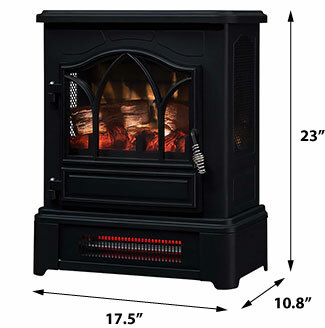 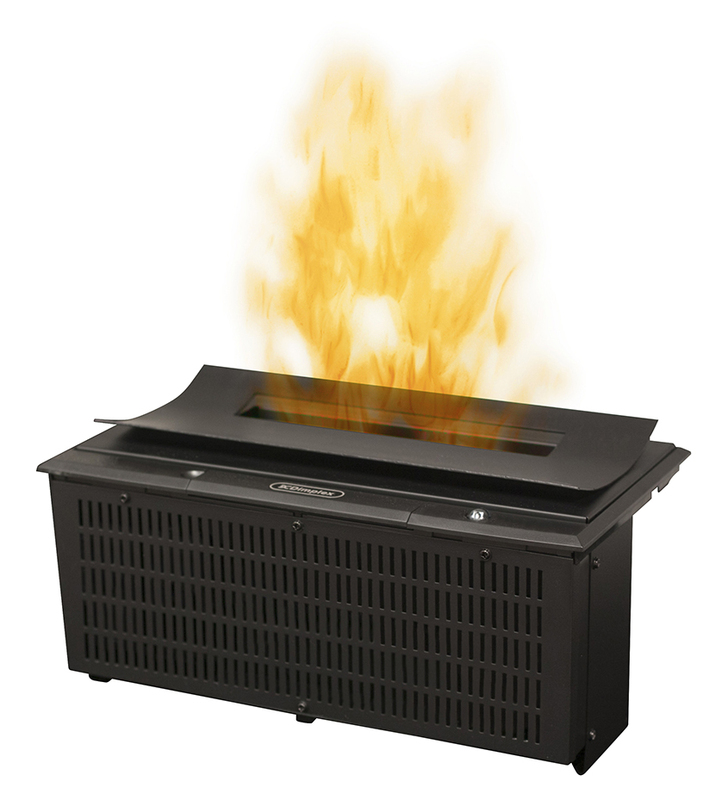 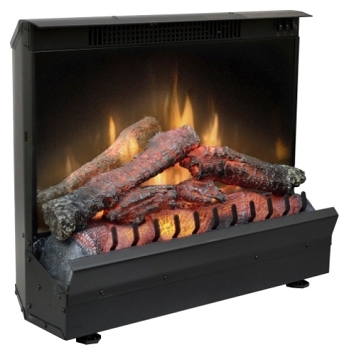 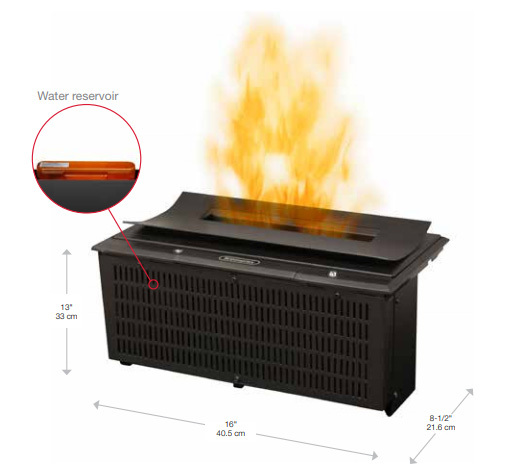 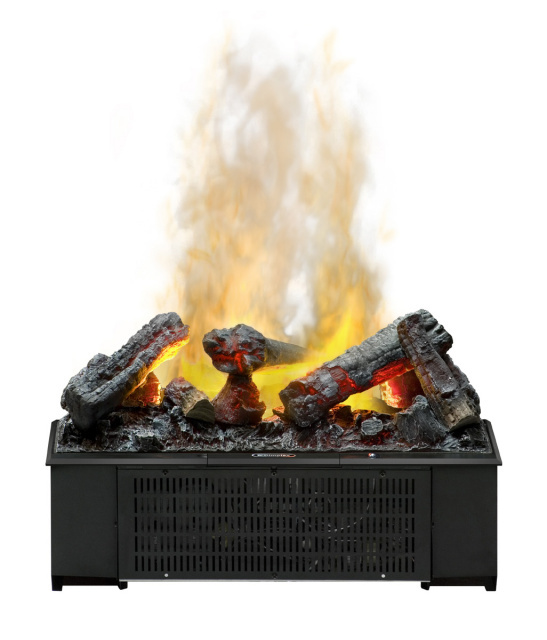 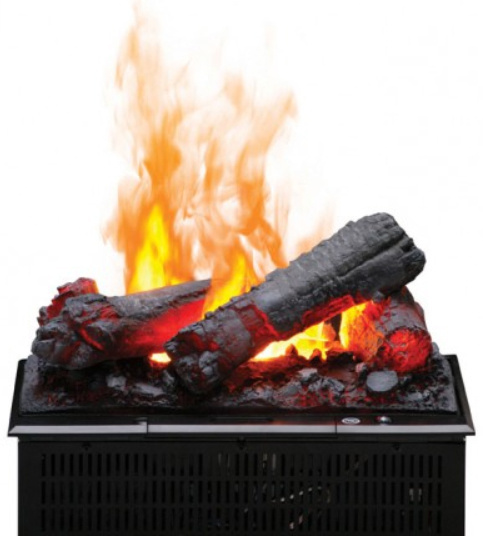 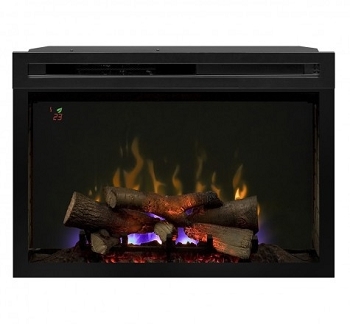 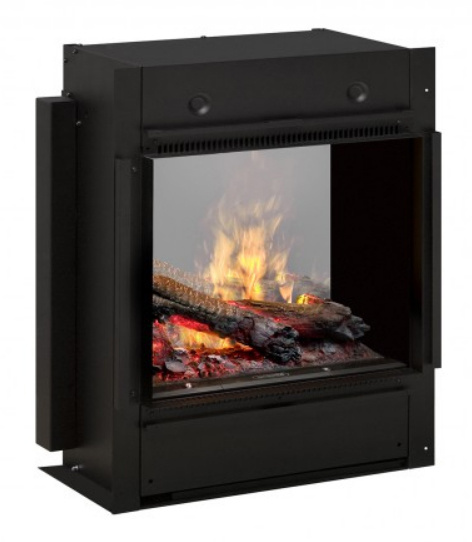 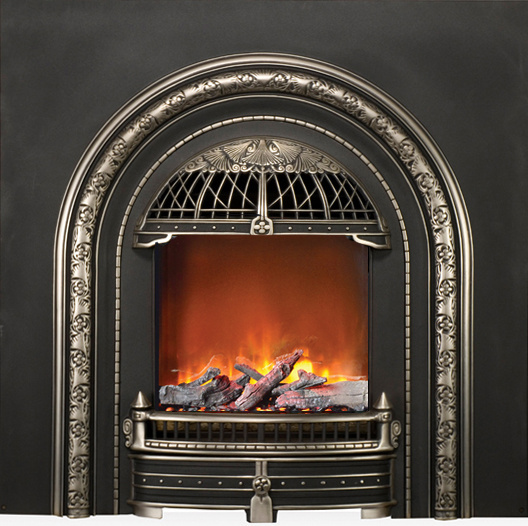 This patented unique electric log set is small enough to fit in most old coal burning fireplaces for a clean and safe conversion to an electric fire.The curved top is designed to be used alone for a sleek and modern fire. 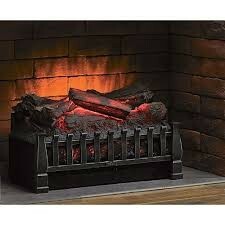 We offer an option for dressing it up with real coal as shown in photo below. 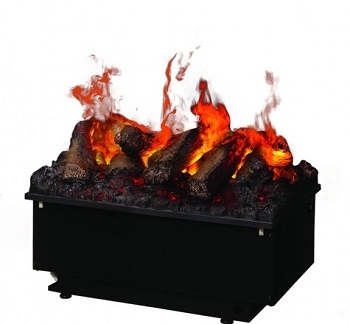 While supplies last there's also a log fire accessory available. 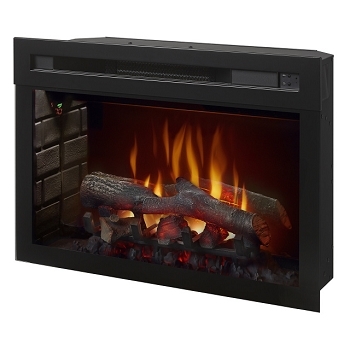 3 Prong Plug fits standard wall outlet.